I think I speak for all all Action Figure Junkies that we will collectively sigh in relief when 2016 comes to a close after an unmatched year of iconic losses culminating this week with geek goddess Carrie Fisher. With the loss of a bona fide Princess and most of Junkies first crush in action figure form no doubt, it seems a good time to focus on the happy. And you just don’t get happier than toys and year end Top 10 lists! It was a banner year for action figures with a slew of newcomers and old favorites redefined that made our collective wallets scream for sweet relief. 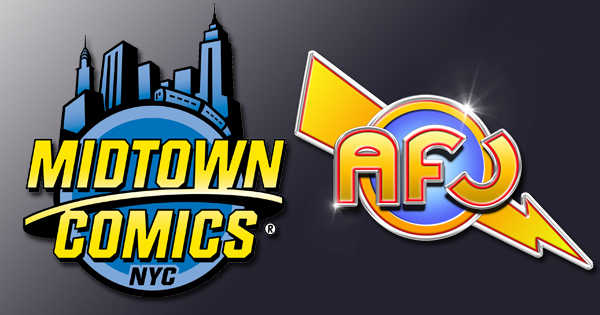 Here we have gathered our ten best that are available here on the Midtown Comics retail website. 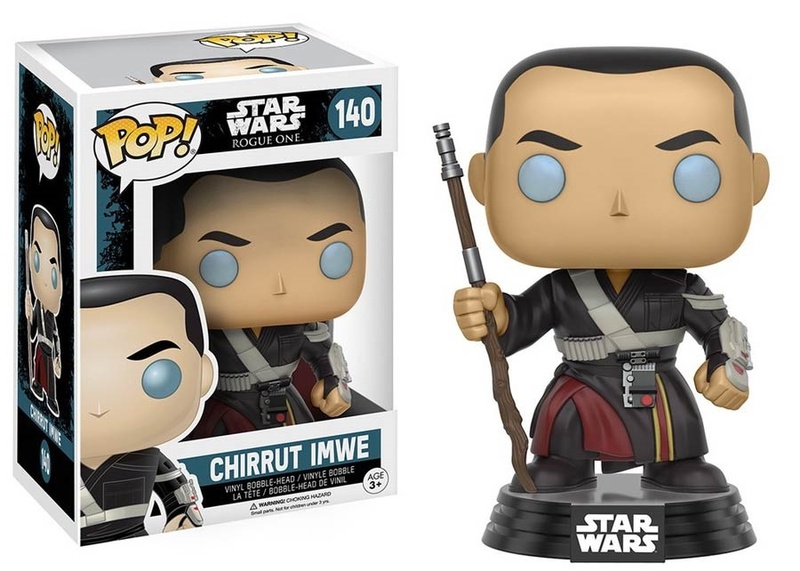 It was tough to cut the list down to just ten items in our expansive inventory but if one pattern emerged, its that STAR WARS, Batman & POP Vinyls have major staying power. The POP! craze continued in 2016 and there is no end in sight. Those that said the POPs would go the way of the Beanie Baby may just have to eat those words if FUNKO keeps this up. Junkies are picking up not just regular POPs but Con Exclusives, Variants, and even custom jobs. Right now its FUNKO’s sandbox for the taking with 2017 looking very bright. 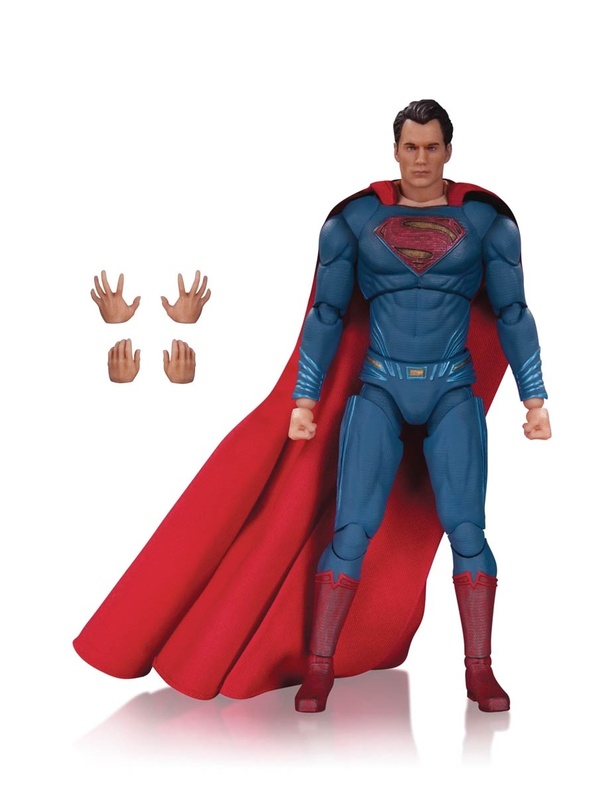 I have been waiting for this figure since it debuted at Toy Fair back in February and I am happy to report that the first DC Films figures are solid all the way around. Notably I absolutely love the capes and how you can pliably shape them. This is really a step up from the mass market DC figures we have seen earlier this year from Mattel. This is really a move in the right direction as this new line of highly articulated figures are catching on fast in the Junkieverse. Medicom Toys, the parent company of MAFEX, really hit their stride in 2016 releasing a slew of figures from a boatload of high profile licenses. 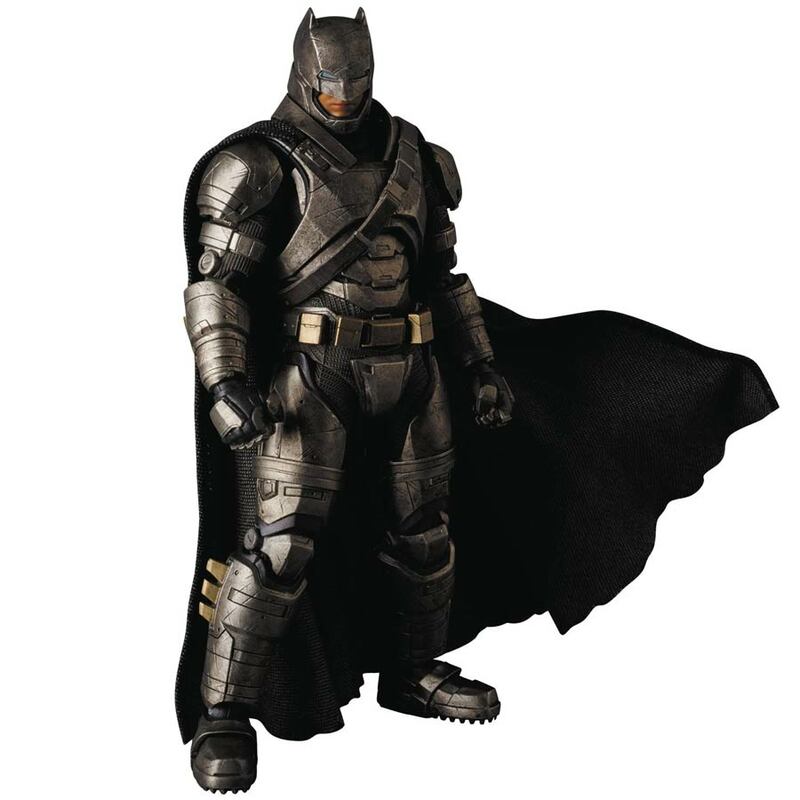 Here, they take on an ambitious iteration of the Armored Batman seen in the hit or miss DAWN OF JUSTICE film. One thing is for sure, Junkies did love the Dark Knight and his armor. The 6.25” tall figure really carries a high quality, battle-damaged look with serious articulation and a poseable fabric cape—an rarity for a figure this size nowadays. You will never own a Batwing but that did not stop DC Collectibles merry band of Junkies to come up with the closest thing for non-nocturnal bat obsessed billionaires! BATMAN: THE ANIMATED SERIES continues to live on with a die hard base of Junkie fans and this amazing piece is a testament to the shows continued popularity. This epic sized vehicle that snugly fits an Animated Batman figure in the cockpit that slides open also features retractable landing gear & battery-powered interior lights. 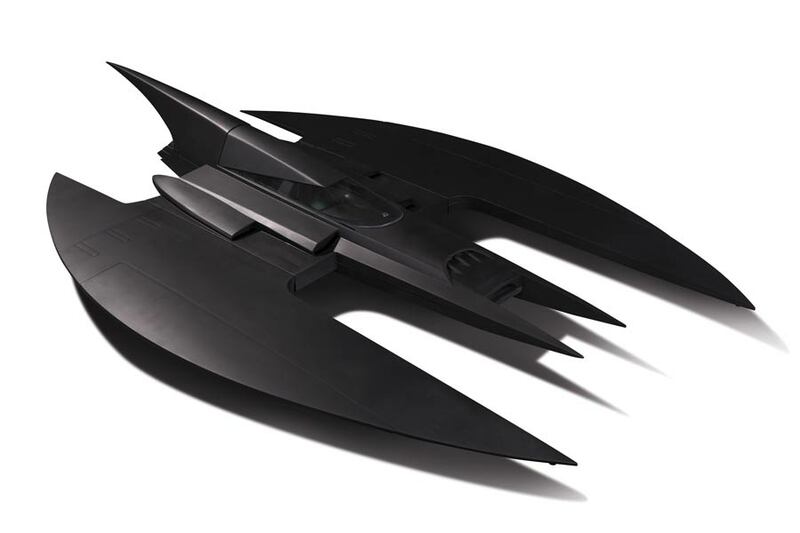 As if that is not enough, the Batwing is over 3-feet long and two feet wide. That’s almost bigger than Michael Keaton. BANDAI’s Tamashii Nations surprised the heck out of me with this amazing mash-up figure of Queens, New York’s favorite son. 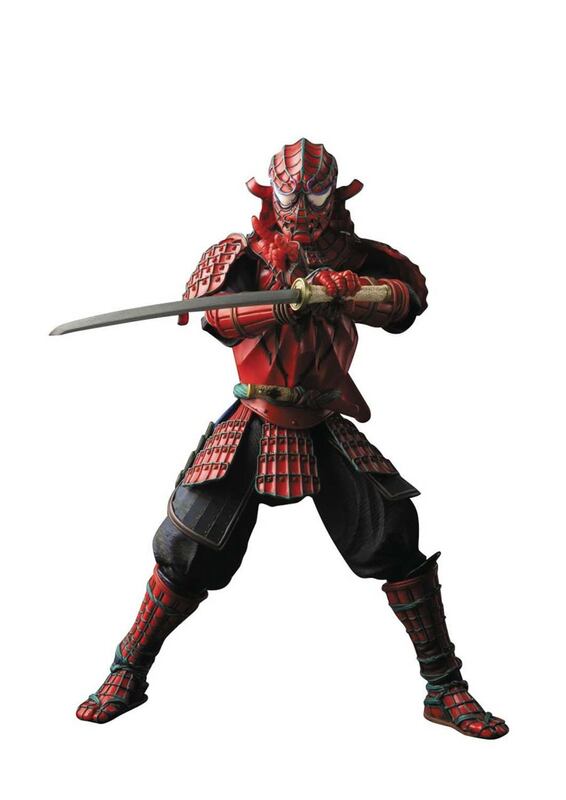 Except imagine that Spider-Man is in feudal Japan—now you’ve got a concept figure that has people talking. 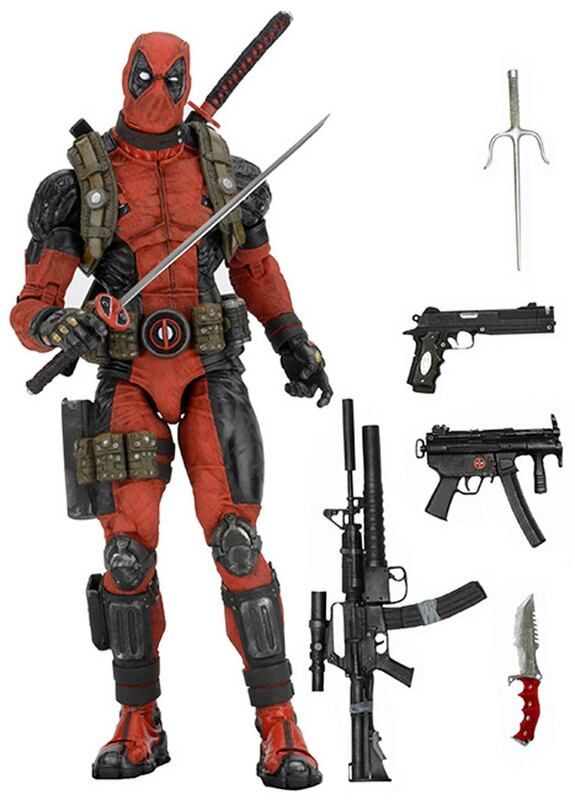 The figure comes with so many cool accessories and weapons that their are too many to list. However, the kaginawa-style grappling web hook is one of the dopest things I’ve ever seen come with a figure. The GHOSTBUSTERS figures we have waited 32 years for have arrived! 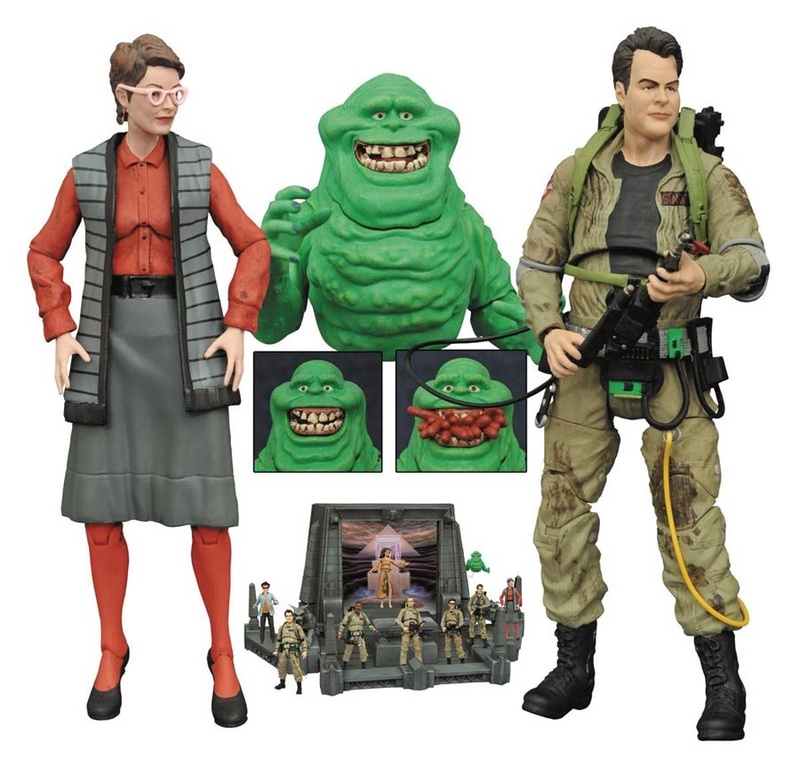 Diamond Select’s GHOSTBUSTERS figures from the 1984 classic film that practically created the sci-fi comedy are the best figures at this price point to ever be created. As if the amazing facial likenesses were not enough, each figure comes with a piece for what can only be described as the greatest action figure diorama ever created. I can’t wait to finish mine! 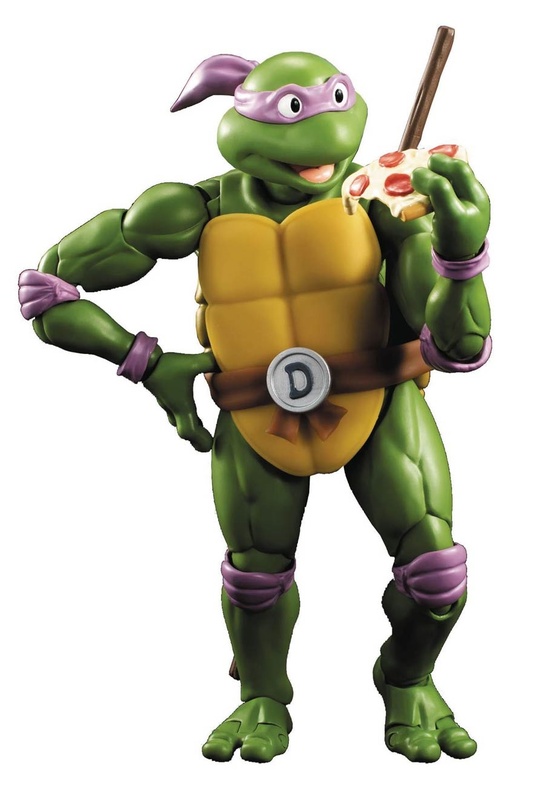 I am really only a casual TMNT fan but these pizza loving New Yorkers won me over in BANDAI’s Figuarts pieces. Each Turtle comes with their signature weapon, interchangeable appendages and some bonus accessories that I think Junkies will love. Throw in that part of the figure is part die-cast metal and these Turtles make for a well balanced and weighty group of figures. 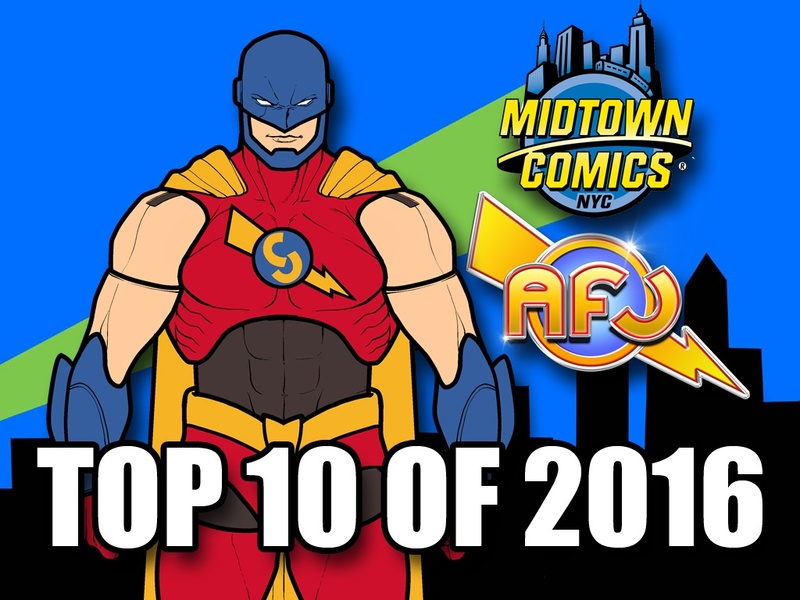 What would a Top 10 list be without the inclusion of a Deadpool figure? After a bonkers year and an epic solo film, the Merc with a Mouth gets the quarter scale treatment from Jersey based NECA. There were a lot of Deadpool figures to choose from this year but this one really had the balance of high end but affordable without sacrificing articulation or sculpt. The detail is just off the charts on this figure with brilliantly realized paint apps that are a more distressed red than what we are used to. Well done. 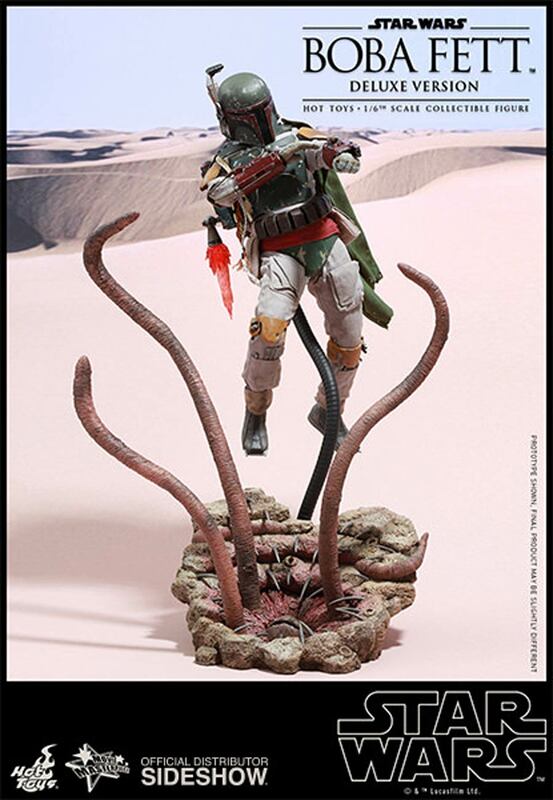 The only thing better than a Boba Fett figure is a Boba Fett figure with a Sarlacc Pit diorama base. Thankfully, HOT TOYS head honcho Howard Chan knows what Junkies are looking for when they are spending major coinage on a new piece. This Boba Fett is loaded with extras and everything else (and more) that we have come to expect from HOT TOYS. AGE OF ULTRON may be a film from 2015 but this figure, this monster, was worth the wait. This figure from NECA throws out all we know about quarter-scale figures that ironically NECA taught us all about to begin with. 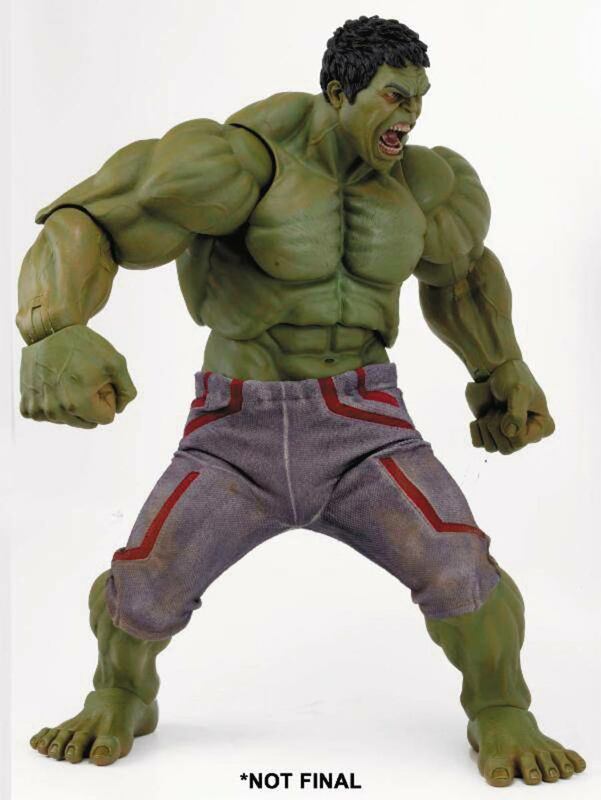 Bigger than a toddler at over two feet tall, the brilliant sculpt is only matched by the piece’s surprising mobility and articulation, this Hulk is the piece to own if you really want to make a statement in your mancave.